The U.S. corporate tax rate has remained nearly unchanged for more than 25 years. 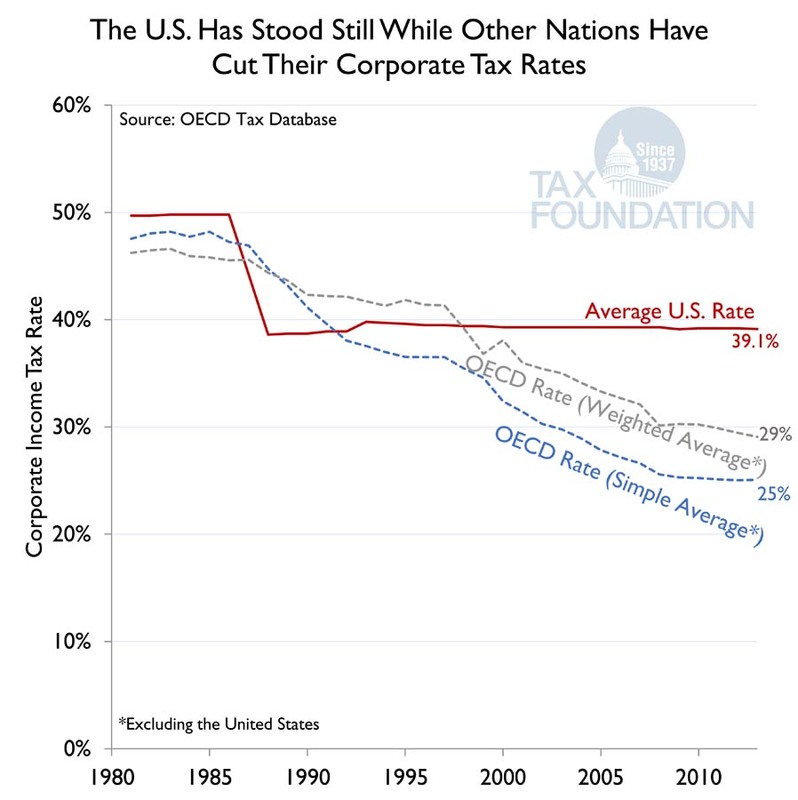 Meanwhile, lawmakers in the 33 other OECD industrial nations have repeatedly cut their corporate income tax rates to make their economies more competitive and more attractive to investment. The combined federal and state corporate tax rate in the U.S. remains at 39.1 percent while the simple average of the OECD is 25 percent. China’s corporate income tax rate is also 25 percent. Even after adjusting for country size, the U.S. rate is about 10 percentage points above the OECD average. When it comes to corporate tax reform, the U.S. is falling behind by standing still.